Leonardo Dicaprio finally took home an Oscar for his role in The Revenant at the 88th Annual Academy Awards, receiving a standing ovation from fans all around the world. Except for the oscar movie The Revenant, he has delivered many other classic movies, and this is evident in his another five Academy nominations and various other awards he received. 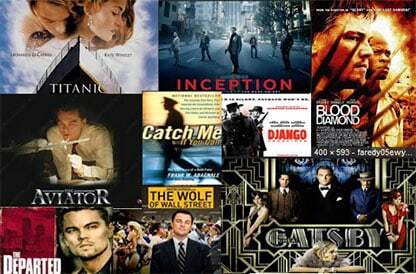 Here is a pickup of Leonardo DiCaprio best movies list throughout his acting career, including the ones receiving best reviews, Oscar nominations, and best Hollywood movies of all time. MacX Video Converter Pro -download full movies for free in full HD from 300+ online sites with fast speed and convert to MP4, AVI, MOV etc for iPhone iPad Android. No.1 fast! Warm Prompt: If you don't adore to get downloads of the movies, you can choose to buy the DVD version of The Revenant, supporting the legal copy and showing respect to copyright and make a digital copy of Oscars DVD movie The Revenant with a solid yet professional DVD Ripper, to avoid any damage. The Oscar-Winning 'The Revenant' deserves a spot in the list of Leonardo Dicaprio's best movies. This movie finally goes home with three 2016 Oscars - the best cinematography, best director and also the best actor. It also sees a successful box office and wide public praise. Titanic has a spectacular epic that is regarded as the greatest and the best love movie of Leonardo DiCaprio and Kate Winslet, telling a story that a seventeen-year-old aristocrat, expecting to be married to a rich claimant by her mother, falls in love with a kind but poor artist aboard the luxurious, ill-fated Titanic. The top 10 Hollywood movie garnered mostly positive reviews from film critics, holding a rating average of 7.8 out of 10 on review aggregate website Rotten Tomatoes, classified as best film by Leonardo DiCaprio. DiCaprio's portrayal as Jay Gatsby was praised by critics. It is regarded as one of the best movies of Leonardo DiCaprio of all time, telling a story of a Midwestern war veteran finding himself drawn to the past and lifestyle of his millionaire neighbor. Download the movie to wee his acting talents. Bold, bloody, and stylistically daring, Django Unchained is another incendiary masterpiece from DiCaprio. The film earned DiCaprio his ninth nomination from the Golden Globes, which depicts a story of a freed slave setting out to rescue his wife from a brutal Mississippi plantation owner with the help of a German bounty hunter. 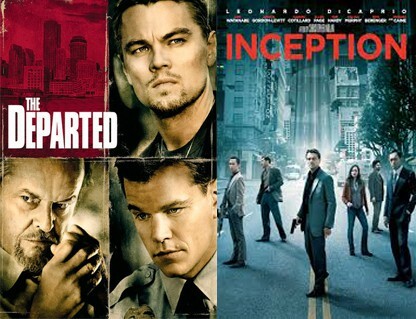 Smart, innovative, and thrilling, Inception is that rare blockbuster that succeeds viscerally as well as intellectually. Leonardo DiCaprio plays Dom Cobb, a master extractor, who is for what initially are vague reasons on the run and cannot return home to his children in the States. Inception doesn't just dream bigger than most movies even dare, but it leaves the audience feeling inspired to do the same. It deserves to be one of best Hollywood movies performed by Leonardo Dicaprio. Martin Scorsese directed this remake of the 2002 Hong Kong film Infernal Affairs that starred DiCaprio as undercover police officer Billy Costigan, who infiltrates a Boston organized crime ring run by Jack Nicholson's eccentric crime lord. The film appeared on many critics' top ten lists of the best films of 2006 and scored a 92% approval rating on review aggregator Rotten Tomatoes. 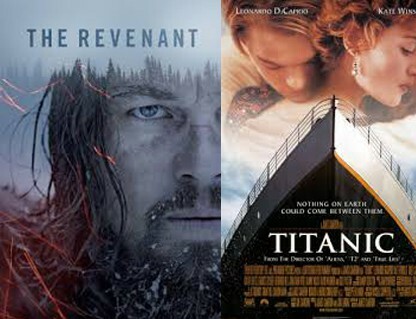 Those abovementioned Leonardo DiCaprio filmography is definitely worthy of your collection. So you got the DVD versions, both new and classic, for the sake of keeping it forever. But DVD isn't the best way to enjoy movies as a result of its inconvenience and fragility. Then how to play Leonardo DiCaprio's classic films in the best way without taking along DVD player or worrying about their vulnerabilities to damage or loss? An ultimate solution is to get a professional DVD ripper program. And MacX DVD Ripper Pro is highly recommended as it provides the fastest and best way to rip copy protected DVDs to iPad Air, iPad Mini with Retina display, iPhone 7/SE/6s/6/5S/5C, Samsung Galaxy S7/S6 etc with ease. Leonardo DiCaprio is possibly most well-known for losing the Oscar he arguably deserves. In addition to the movie The Revenant that he has won the best actor in 2016 Academy, he has been nominated for the Oscar for five times for another four movies. DiCaprio lost his fourth potential Oscar as the Best Actor for his leading role in The Wolf of Wall Street. However, this film, staring Leonardo DiCaprio as Belfort, a New York stockbroker who runs a firm that engages in securities fraud and corruption on Wall Street in the 1990s, received positive reviews from critics and has a worldwide gross of $389.5 million as of March 27, 2014. Blood Diamond is a 2006 American-German political war thriller film, narrating a story of a fisherman, a smuggler, and a syndicate of businessmen matching wits over the possession of a priceless diamond. The conflict diamonds in Africa are still happening today, and the heart touching scenes that Leo brings forth with his character just truly makes this movie amazing, and life like. The Aviator is a biopic depicting the early years of legendary director and aviator Howard Hughes' career, from the late 1920s to the mid-1940s. The Aviator is the film that announced DiCaprio's full emergence as one of his generation's best and was nominated for 11 Academy Awards, including Best Picture, Best Actor in a Leading Role for DiCaprio, etc. Thanks to DiCaprio's tour de force, The Aviator is all worth in the Leonardo DiCaprio best movies list. What's Eating Gilbert Grape is a 1993 American drama film depicting a story that Gilbert has to care for his brother Arnie and his obese mother, which gets in the way when love walks into his life. DiCaprio's performance is surely one of his all-time best performances. His portrayal of Arnie is so real that DiCaprio completely disappears in the role, leaving a lasting impression even to this day. As well, This movie earned DiCaprio his first of many Oscar nominations and remains a highlight in his career. You are for sure looking forward to the new works as well. Here are the upcoming films of Leonardo Dicaprio between the year 2016 and 2018. Legacy of Secrecy: Leonardo DiCaprio will star in a feature film based on the non-fiction JFK assassination book "Legacy of Secrecy", written by Lamar Waldron and Thom Hartmann. DiCaprio will play FBI informant Jack Van Laningham, who obtained the confession of Mafia godfather Carlos Marcello to having ordered JFK's assassination. This movie is going to entertain you in the month of June. So, get ready to enjoy this non-fictious movie. The Devil in the White City: This film is based on a 2003 non-fiction book by Erik Larson presented in a novelistic style, focusing on the lives of two men who turned the 1893 Chicago World's Fair into their playground. Notice: We only advocates using this best DVD ripper to rip best Leonardo DiCaprio movies on DVD under the concept of Fair Use and does not encourage any illegal reproduction or distribution of copyrighted content. Please abide by the local DVD copyright law before doing it. Best Robin Williams movies guide is shared, including top Robin Williams movies list of all time, Robin William best movies on DVD copy solutions to backup and copy DVDs. There are plenty of animated DVD movies. Here we listed some new animated movies on DVD 2014/2015/2016, 2013 DVD movies with animated feature and 10 best animated DVD movies of all time for you to enjoy with your kids and family. MacX DVD Ripper Pro is the best DVD Ripper for Mac which can freely remove any copy protections and rip best movies from DVDs to various video formats (MP4, MOV, MKV, AVI, FLV, etc) and portable devices with original quality.